Heroic warmist Emanuel allegedly "has made a particular effort “not to preach to the converted, but to go to the heart of skepticism”"
@Twitter @Support is not playing by their own rules in the unfair suspension of climate skeptic Tom Nelson | Watts Up With That? Nelson’s suspension comes within two weeks of Twitter suspending global warming skeptic Steven Goddard, a noted blogger who has been labelled as a “denier” by environmentalists. 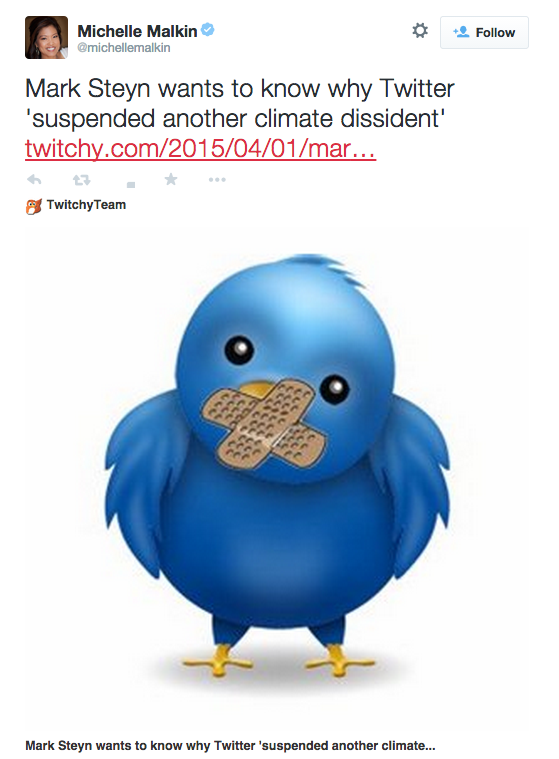 Goddard, a pseudonym he blogs under, was suspended for violating Twitter’s rules. goddard had been previously warned by Twitter of that other users had accused him of “non-violent threats” and “abusive behavior.” Goddard denied these accusations. “I have never violated any Twitter rules, and Twitter has failed to respond to my requests to provide any details,” Goddard said. I don’t regularly take up causes on WUWT, but this one sticks in my craw for the sheer pointlessness of it all. To borrow an overused phrase from the warmist movement, this is a “canary in the coal mine for free speech and climate skepticism”. ~I see Katherine Jefferts Schori, Presiding Bishop of the Episcopal Church, has said that we climate deniers are "sinful". Who knew the Episcopal Church still had sins? 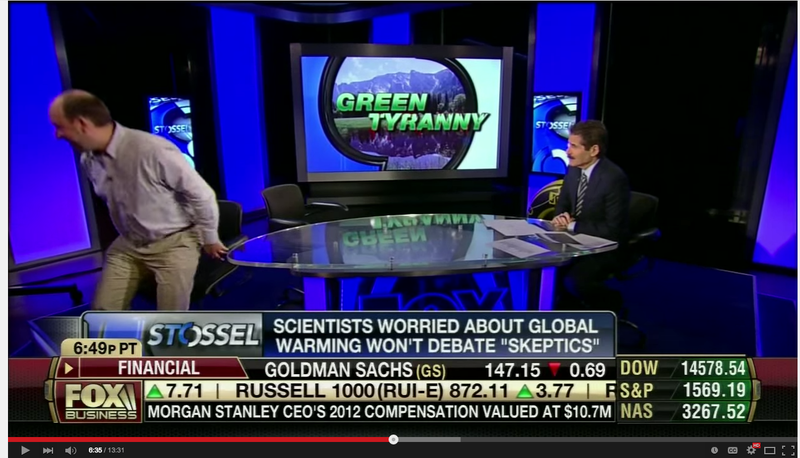 Presumably climate denialism is the exception that proves the rule. 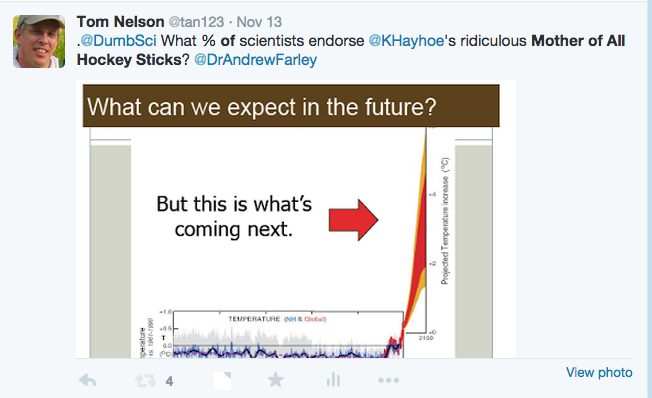 At any rate, the Twitter mutaween, acting either on the Episcopal edict or on the usual abuse of the complaints procedure by the Big Climate mullahs, have now shut down yet another climate dissident - the great Tom Nelson, whose perceptive observations and tireless research I have often reTweeted. As Joanne Nova recommends, contact @support and @twitter and let them know how you feel about their serving as blasphemy cops for climate apostasy. 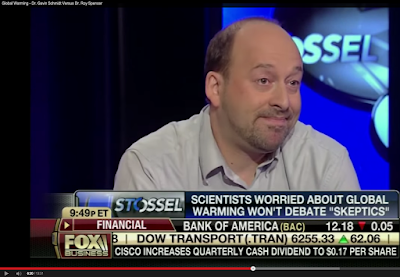 Jo, by the way, is one of the authors I'm proud to appear beside in the new book Climate Change: The Facts. It's available in eBook format from Amazon and all the usual outlets. But you can also order it in paperback direct from SteynOnline - and I'll be happy to autograph it for you or any tedious warm-mongering loved one who might benefit from an alternative point of view. And as we see, from Kenya to Indiana to Twitter, the "alternative point of view" is a far more endangered species than the polar bear. The survey consisted of calls and emails to nearly 50 corporations that work with three environmental groups – Environmental Defense Fund, The Nature Conservancy and the World Wildlife Fund US – that have identified the Environmental Protection Agency’s Clean Power Plan as a top priority. These are Fortune 500 global companies that tout their sustainability efforts and celebrate their environmental partnerships. Just three of them – Starbucks, Mars and Google – support the Clean Power Plan, which is a cornerstone of the Obama administration’s climate change efforts. Caterpillar and CSX Corp, a coal-carrying railroad, oppose the EPA plan. The vast majority take no position. Huge, preposterous lie still on Apple's web site: "All our data centers are powered by 100 percent renewable energy sources"
Why does the mainstream media allow fraud like that to go unchallenged? Buying some certificates to pretend wind is powering a data center does NOT change reality if they're still using coal-fired grid power. Apple is feeling heat from Greenpeace today. The environmental group singled out the image-conscious IT leader for building data centers in regions that rely heavily on coal in its yearly report rankings of cloud computing companies. Apple gets 55 percent of its power from coal, according to Greenpeace, which is about the same as the nation’s overall energy mix, but higher than all other 14 ranked companies. More and more, West Coast tech companies are building their U.S. facilities on the east coast and around Chicago, where coal power is plentiful and cheap. Greenpeace criticized Apple because it has no data center policy that takes clean energy into account. The company got an “F” grade for infrastructure siting as its iCloud data center rises in Maiden, North Carolina, where the local utility Duke Energy relies mostly on coal and nuclear power. Apple, shot back in a statement calling Greenpeace’s claims exaggerated. It noted its North Carolina center will draw more than 60 percent of its electricity from on-site solar panels and fuel cells and that it is building a 100 percent renewable data center in Oregon. Bishop Hill: "I must say I am watching the behaviour of the Twitter management carefully, as it looks somewhat alarming"
I must say I am watching the behaviour of the Twitter management carefully, as it looks somewhat alarming. 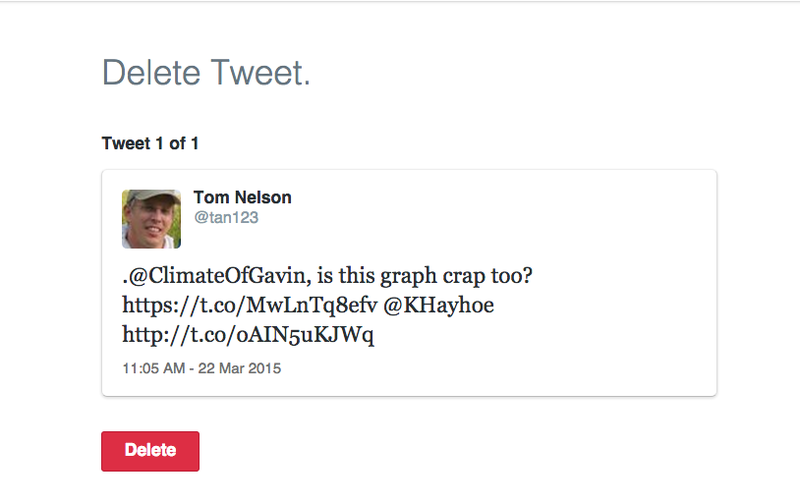 As Anthony reports, Tom Nelson has been suspended for asking if a Katharine Hayhoe graph was "crap". That's asking, not saying. 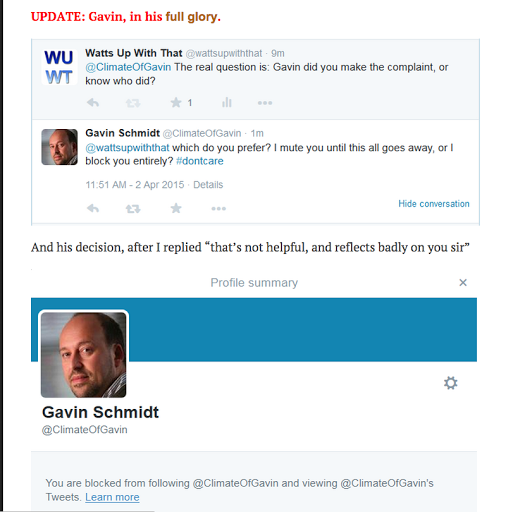 Meanwhile Gavin Schmidt describes a different graph as crap (that's saying, not asking) and it's all fine and dandy. President Bill Clinton and former Secretary of State Hillary Clinton are no longer "broke" if their choice of holiday destinations is any indication. A short article at DominicanToday.com colorfully reports that the famous couple was in the Dominican Republic to "hobnob with tycoons at Dominican resorts" around the turn of the year. And while the Clintons are responsible for their own expenses, the U.S. taxpayer picks up the tab for Secret Service protection, and the hotel bill alone for this trip totaled at least $104,093. 45 years ago, scientists wanted to ban fossil fuels to prevent a new ice age and flooding of coastal cities. Real headline: "Why the CEO of ExxonMobil Equals the Pilot of Germanwings Flight 9525"
Spencer: Whoever came up with [97% hype], it was very powerful. It was a good idea. It was very misleading, but it was a good idea. There are different ways people handle that. I use the angle that based on the way they come up with the 97 percent, John and I could be considered part of the 97 percent. This is where things get all muddy. They call us global warming deniers. It's a great soundbite except what do we exactly deny? 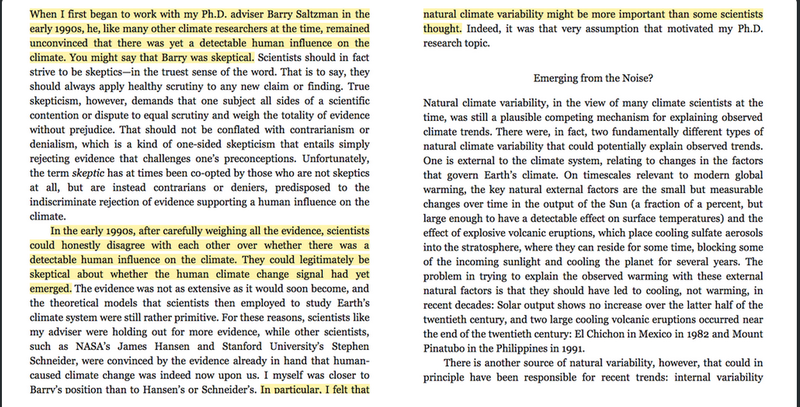 Or the science is settled. OK, what science is settled? You never hear the specifics. ...Christy: NASA, NOAA, EPA, DOE, those are agencies. Agency leaders are appointed by the government, by the current administration. They do not represent objective independent scientific organizations. They can't. They are appointed by the head. They try. People who come out with different views in their organizations are found to be squashed. There is an agenda in those agencies, so it does not surprise me when they go full bore on something like climate change. They are marching to the drum of the administration. It's always been that way. But this administration has been extremely opaque. When you try to go provide information to EPA like these pictures, they will just dismiss it. They will come up with their findings and will not provide you with background for information so that you will know they made a scientific finding. 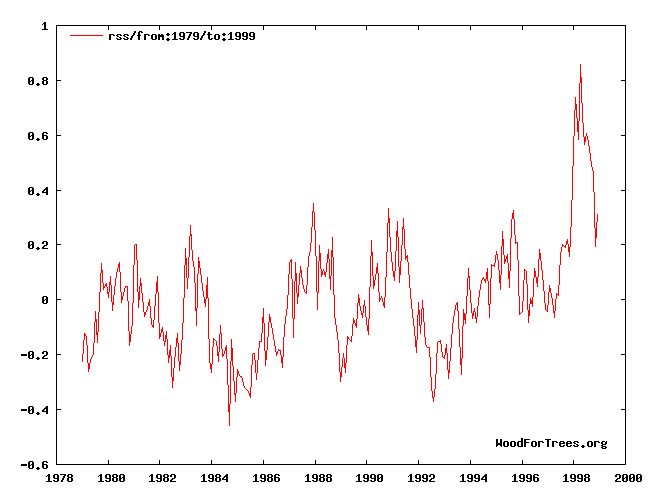 There are skeptics in NASA and NOAA, a good number. But they are quiet. They know in this administration, they don't speak out. Spencer: I know that they're not unbiased. Most of them probably really do believe we're destroying the earth. 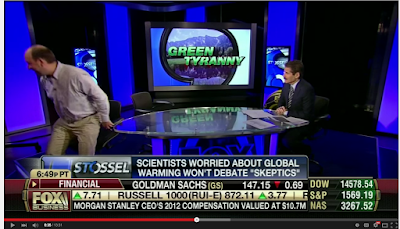 When I talk to scientists who should be objective over a beer at the end of the day, I will argue with them and their final position will always be, 'Yeah, but we need to get away from fossil fuels anyway.' Where did that come from? Are you an expert in alternative energy sources and what they cost? How many poor people are you going to hurt? How many more people are you going to make poor through energy poverty because they are paying five to 10 times as much for their energy? These guys in government are not unbiased and they have pressures from above. Those organizations, NASA and NOAA, they are part of the executive branch. So the White House has some influence over what direction they go. The heads are political appointees so you have political influence from the top down on scientists. And that's a problem. AL.com: What about the value of renewable energy sources? Christy: I am for any energy source that is affordable and doesn't destroy the environment. If carbon dioxide was a poisonous gas, I'd be against it. Carbon dioxide makes things grow. The world used to have five times as much carbon dioxide as it does now. Plants love this stuff. It creates more food. 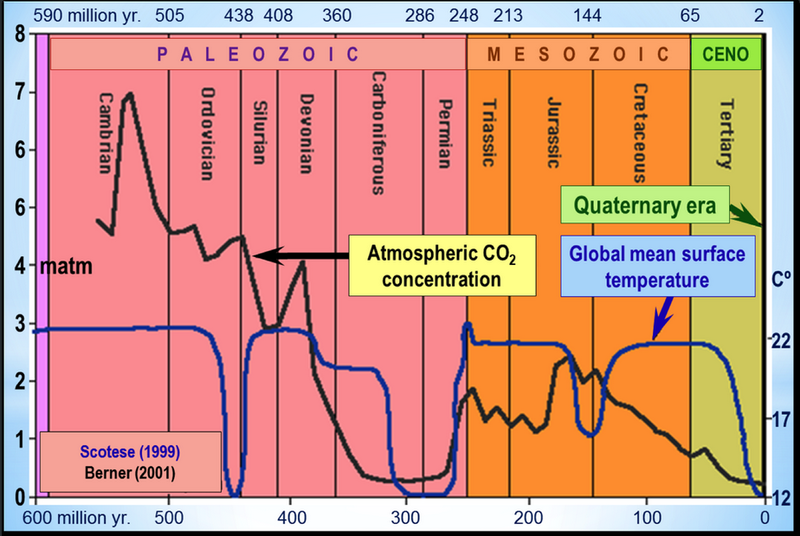 CO2 is not the problem. Traditional knowledge has always shown there are more bears out there than scientists estimate, Pokiak told CBC News: "That's part of the traditional knowledge we wanted to collect." The study, published by the Wildlife Management Advisory Council, came from interviews with 75 hunters in all six Inuvialuit communities over a three-year period. It found traditional knowledge holders in the region say the bears are healthy and their population is stable. Washington Post claims "one hour long downslope warming event at one location in Antarctica is evidence of global warming"
The Washington Post is claiming that a one hour long downslope warming event at one location in Antarctica is evidence of global warming. At 6 am on March 24, Esperanza Station had strong westerly downslope winds which raised the temperature for an hour. By noon, temperatures had dropped and by mid-afternoon were back to freezing. How anyone could be dense enough to believe this has anything to do with global warming, defies explanation. The only man on the panel — Teri’s human resources department head PK Agarwal — was removed after the complainant objected to his inclusion, saying he was biased and had advised her to compromise on the matter internally and not press charges. PLAINVILLE - Live harness horse racing will resume at Plainridge Park Casino April 15, two weeks later than originally scheduled. The track owners said more time was needed because of problems created by the near-record-setting winter weather. A low temperature of 12 degrees at the Akron-Canton Airport Saturday tied an all-time record low set in 1982, according to National Weather Service. A remarkable event has occurred. “Global warming” the blue eyed boy of the politically correct and environmentalists has fallen down the ranking and behind the more scientific and impartial: “climate change”. What fantastic publicity. 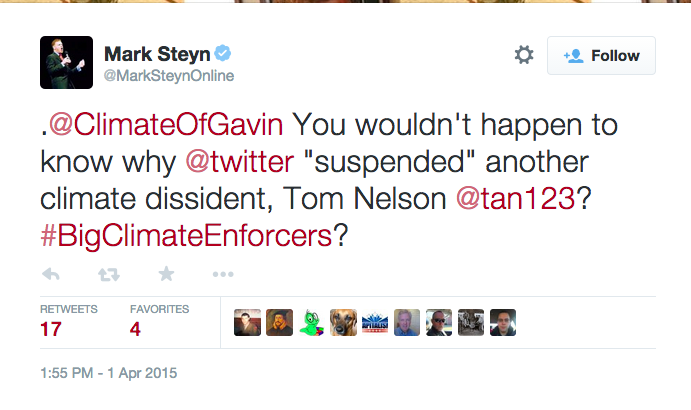 Twitter suspended Steven Goddard’s account last week, then reinstated it after getting inundated with complaints. 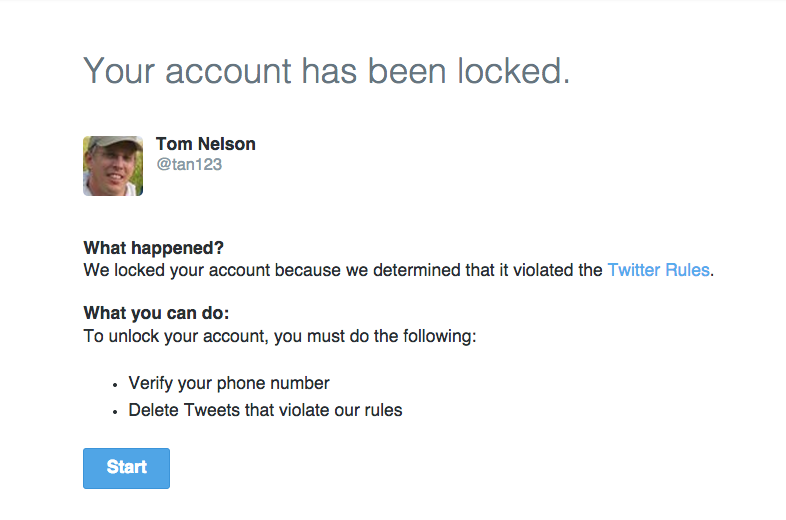 Now Tom Nelson’s twitter account is gone, also “suspended”, because he used the word “crap” in response to Gavin Schmidt using the word “crap”. 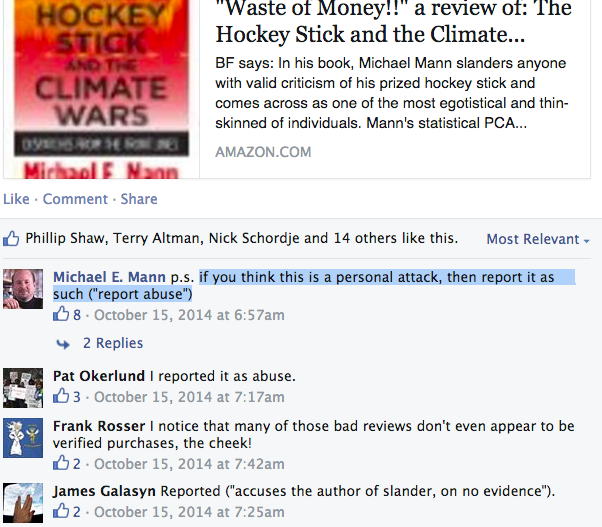 ...The word is that trolls abuse the “report abuse” link to get skeptics silenced. 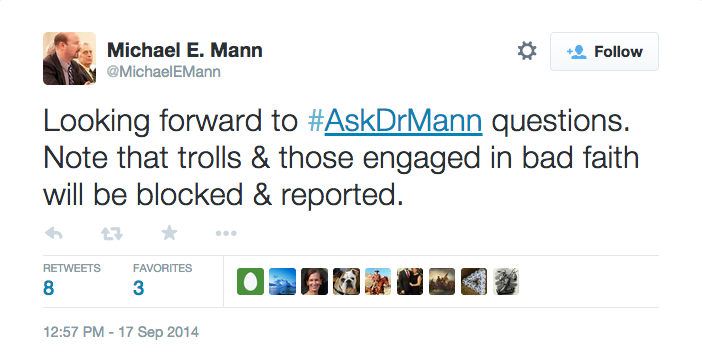 We note Michael Mann recommends blocking and reporting. What else can you do when you don’t have an answer? One of the world's best-known climate contrarians, Bjorn Lomborg, will establish a base in Perth as his influence in Australia grows. The controversial Dane has struck a four-year deal with the University of Western Australia to run a policy research centre in its business school, which will focus on the nation's future prosperity. Climate campaigners have rounded on the energy minister, Matthew Hancock, for hiring a private jet to fly himself back to London after signing a deal with the Mexican president in Aberdeen to help combat climate change. 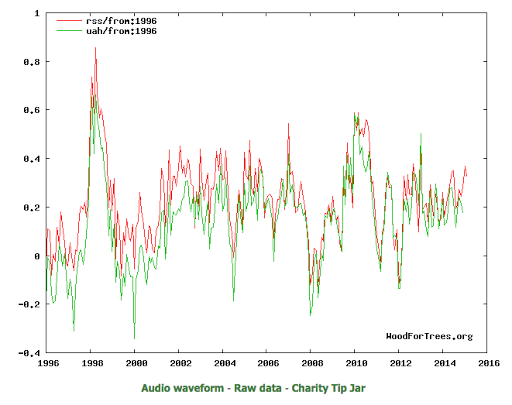 Teslagate Whopperpedia: "a mountain of evidence that Tesla is a fraud"
Breitbart: Climate "cult is its own worst enemy"
The public’s conclusion that “climate change” is under control is natural, which is why the cult has lately been so frantic in claiming that everything from droughts to typhoons is a sign of climate-change wrath. Monsters are needed, because the people are no longer afraid. Expect the distinction between “climate” and “weather” to erode further, on a highly selective basis, as the movement’s hunger for nourishing headlines grows more acute. Buffett on Tesla: "I don’t see any serious volume potential there"
The nonprofit launched by billionaire environmentalist Tom Steyer is shutting down its energy policy program, according to its director — paradoxically, a likely sign that Steyer’s efforts to make climate change a major political issue in 2016 are intensifying. ..Ten years ago, we were told that we had ten years to take the kind of drastic actions needed to prevent global temperatures from rising more than two degrees Celsius in this century. Today we hear, from some of the very same activists, that we still have ten years. ..Absent any indication of direct harm, what makes intuitive moral sense is to live the life I was given, be a good citizen, be kind to the people near me, and conserve as well as I reasonably can. Stein attempts to use the ocean's storage capacity to explain the warming pause since 1998. 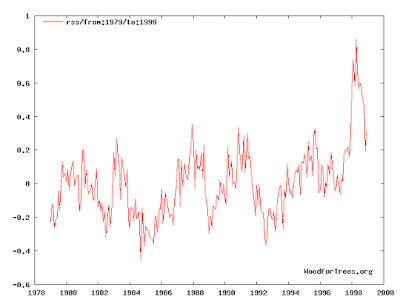 But oceanographers acknowledge that good data on ocean warming have only been available for about 20 years. So her point lacks credibility. Carl Wunsch, professor of oceanography at MIT, observes that oceans have been warming since the end of the last glaciation over 10,000 years ago and will continue to warm until the next glaciation. Nature itself appears to have shown that the claim of man-made, catastrophic climate change is a myth, and the disillusioned believers of such dire predictions are acting out in ways that clinical psychologist Festinger documented in a group devastated by the failure of the predicted arrival of an alien spaceship in December 1954. He coined the term “cognitive dissonance” to describe the coping mechanisms used by the members of this group. In layman’s terms, the “Say It Isn't So" song title by Daryl Hall & John Oates, describes the response by group members. ...the IPCC must become a more attractive place for social-science and humanities scholars who are not usually involved in the climate field and might find IPCC involvement daunting. The IPCC process is dominated by insiders who move from assessment to assessment and are tolerant of the crushing rounds of review and layers of oversight that consume hundreds of hours and require travel to the corners of the globe. Practically nothing else in science service has such a high ratio of input to output. The IPCC must use volunteers' time more efficiently.